ok my friend. eu-075 is my secont qth .i go there for rest and for qso. sent you a email and my phone number. japan stations for me no problem.i wiil sent you a email dont worry. I will contact NSW Parks and Island Authority and apply for operation permit. However I need to stay at least one night on island and I am not sure if they will　approve my operation. about possibility to operate form Solitary Isl. All the best for the new year and see you over the weekend from OC 211. > Happy new year 2010 & please be safty trip for Houtman Abrolhos. > I and my JA friends are looking for your OC-211. 今回も31日の0400UTCにスタートとありますが、少し遅れる可能性がありますが、前々回のOC-206 Dirk Hartogのときには１日以上早く切り上げていますので早めのQSOが肝心と思われます。また、前回時の使用周波数は7008/7012/7014、10106-10109、14035/14260のみです。３バンドで10MHzのレポートが半分以上、14CWは少なく、14SSBもあまりない状況でした。weakというレポートも多かったです。10月と１月の季節の違いはありますがご参考ください。　FB IOTA chasing! I send for QSO with OC-102,OC-231,OC-116 and OC-240-. PSE Shuji confirm with e-mail WHEN you receive my envelope. > > JN6RZM - he will distribute them. Now Vasiliy, RA9LI/0, occupied main work. He Comes up for airwaves in their own free watch. He is a mechanical engineer on weather station. Vasiliy has a power 100 W. and antenna dipole. and Vasiliy will more be on frequency. Next time when meeting I report him your request. I hope that many huntsmans for IOTA will be able to get this rare island. and DX-expeditions. Addresses of managers and DX. cards you still need? I thought I had sent cards for all contributors. 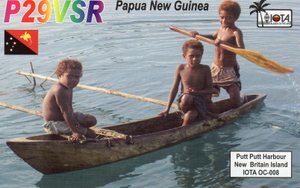 Just received OC-205 P29NI QSLs from you. I am very pleased to receive them. But I mistook those QSL card. I thought I received OC-205 and Others QSL card. Thank you, everything is OK here. 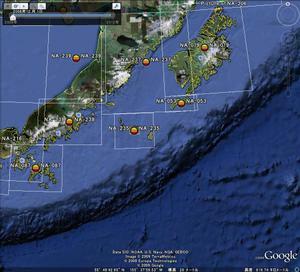 Participate in ALCAN ralley (Seattle-Anchorage) www.alcan5000.com and then from Kodiak by seaplane to Chirikof. If WX will be OK at the end of expedition from Chirikof to NA-239 and then back home. Will calculate so it is enough food, water and gasoline. Hi Hi. Hello Shu, Yes I hope that we can go back to NA-239. We will know more details later. 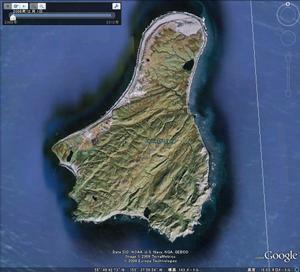 Here is a link to the island and location that we had our station last July/2009. We actually worked out logistics for August 2010 or touch earlier, weather permitting for Chirikof Island. Since island has two lakes, fastest, safest and easiest way is charter airplane from Kodiak. Will ship equipment in the spring to Kodiak from Seattle. One interesting fact: no bears on the island, but herd of abt 700-800 wild cows. Cows live on the island for over 100 years and herd never was managed successefully. Electric fence for antennas/camp might help us. It will be typical Russian Robinson Club operation (3-4 Ops) and about one week on the island, depending on WX. Possible trip to Seal Islands (NA-239) when Chirikof is complited. Planned calls: KL7RRC on Chirikof and N6PYN/KL7 on Seal Islands. Ops: UA9OBA, N6PYN and N3QQ. I have sent all the QSL cards to you that were on your list. I did not include JF4VZT. I can send a card to Yuu direct - no problem. The cards came from the printer on Thursday and so I have been very busy answering all the direct requests. I had over 600 waiting. Now the pile is getting smaller! OC-212. A team of VK operators will be using the callsign VI2BI to activate Broughton Island from October 6-15th. Activity will be on most bands for the duration of the operation. The team will arrive on the Island at approx 0200z on the 6th. hope to see you down in our TI7XX logs end of the year! Thanks for YOUR letter! We would be very helpful if You could Assist Us to find Japanese sponsors (59 magazine, DX gangs) for our planned African IOTA DX peditions (AF084 andAF093) in JAnuary-February 2010.